These and other activities are all part of National Hunger and Homelessness Week, which takes place Nov. 16 to 24. The event is organized by the National Coalition for the Homeless and sponsored by W&L’s Nabors Service League, a student-run community service organization. 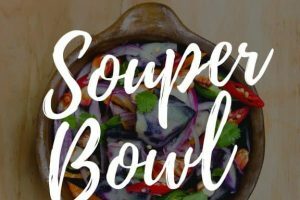 This year, the league has also partnered with Students Against Rockbridge Area Hunger (SARAH) and the Campus Kitchen at W&L (CKWL) to organize some of the week’s events. “We’ve been advertising on campus, and professors have also sent out information or are giving extra credit to students who attend some of these events,” said Jenny Davidson, co-curricular service coordinator at W&L. The Supplemental Nutrition Assistance Program (SNAP) challenge asks students to buy their groceries for four days on the equivalent of SNAP funding—$1.40 per meal. “With this sort of challenge, they’re not going to actually know what it’s like to experience food insecurity, because this is something they are doing voluntarily. But it will give them some of the experience,” said Davidson. Howard Pickett, director of W&L’s Shepherd Program for the Interdisciplinary Study of Poverty and Human Capability, noted the growth of need in the Rockbridge area in recent years and that cuts to the Supplemental Nutrition Assistance Program (SNAP) would have a further effect. “Many people don’t realize how much need there is just within the Rockbridge area itself,” he said. Those who are unable to participate in the four-day SNAP challenge can attend a one-night event called Dinner on a Budget, on Tuesday, Nov. 19, at 5 p.m. at CKWL’s base in the Global Service House. Students divided into family groups will pool their small SNAP budgets to cook their evening meal. In keeping with the food theme, the student group Feel Good will sell their signature grilled cheese sandwiches for lunch on Tuesday outside W&L’s Leyburn Library. The group donates its profits to non-governmental organizations that take a holistic approach to ending world hunger. Tuesday night, several students have committed to sleep on the lawn between W&L’s Graham-Lees residence hall and Elrod Commons, and will provide statistics and information about homelessness in America. Last week, students collected frozen turkeys donated by the W&L community. This week, volunteers will make mashed potatoes and other staples of Thanksgiving and begin delivering the meals on Wednesday, Nov. 20. Recipients include the Lexington Office on Youth, the Rockbridge Area Occupational Center, the Magnolia Center and the Manor at Natural Bridge. “I think the students-dressing-up-as-turkeys campaign went really well, because we received far more turkeys this year than last year,” said Davidson. “Our goal is to have 43 turkeys, and we’re very close. Lacy McAlister ’14 of Charlotte, N.C., president of the Nabors Service League; Adrian Xu ’15 of Claremont, Calif., the food and shelter chair of the Nabors Service League; Caroline Gill ’14 of Charlotte, N.C., who volunteers with CKWL and has also worked with the Nabors Service League on food and shelter issues; and Chris Ives ’14 of Fairhope, Ala., and Brett Bauer ’15 of Franklin, Tenn., who are both leaders in SARAH.